This excursion addresses outcomes from the NESA Geography Syllabus. This new, unique and highly engaging fieldwork program allows students to investigate first hand how humans have altered the natural biome in the Penrith Lakes Parkland Area. Students will see remnant (last remaining) vegetation of the original woodland biome. The theme of changing a natural biome for food production by Aboriginals and Europeans is highlighted. The reduction in agricultural yields led to a further change in human activities – quarrying. An examination of mining altering the physical characteristics of the area follows. Students then undertake a ‘hands-on’ assessment of environmental impacts of human alterations to the area. Biodiversity loss and water pollution are assessed by students. This incorporates water testing, invertebrate sampling and birdlife survey. Basic soil testing evaluations are also experienced. Finally there is a real life look at successful sustainability strategies that minimise environmental impacts now and in the future. Students are guaranteed to be involved in a number of engaging and ‘hands on’ experiences during the course of the day through which students will further develop their geography inquiry, field work and group work skills. Focus – “What are the causes and consequences of change in the Penrith Lakes environment and how can this change be managed”? 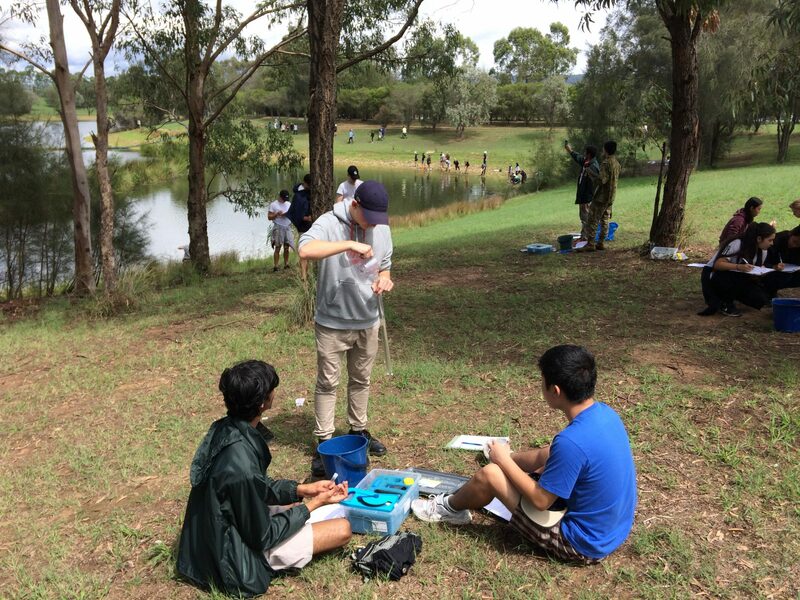 This new, unique and highly engaging fieldwork program allows students to investigate first hand how humans have caused environmental change in the Penrith Lakes Area. Students will see the extent of change to the physical characteristics of the area caused by mining. Students then undertake a ‘hands-on’ assessment of environmental impacts of human alterations to the area. This incorporates water testing, invertebrate sampling and birdlife survey. Finally there is a real life look at management strategies that aim minimise environmental impacts now and in the future.